All photos taken northbound except one. 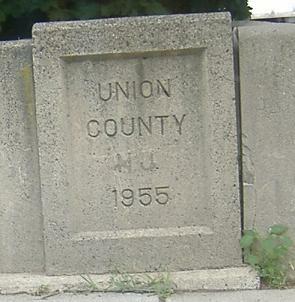 Even though CR 655 also extends south to Somerset County, this progressively shrinking sign is already in Union County, in Fanwood. Older stuff, heading from Fanwood into Scotch Plains. 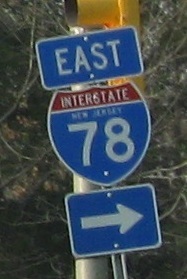 Approaching and at the NJ-conventional US 22 interchange, where the original Park Ave./Bonnie Burn Rd. 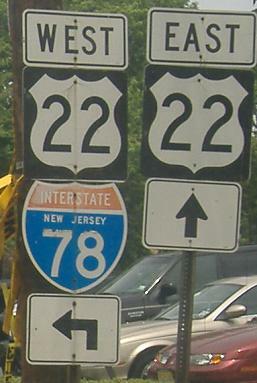 become the ramps to and from US 22, and CR 655 heads to a new alignment to the west to cross over 22. Up to CR 527 now, on New Providence Road, soon to become Diamond Hill Road. Apparently one of 527's arrows was reused inappropriately. 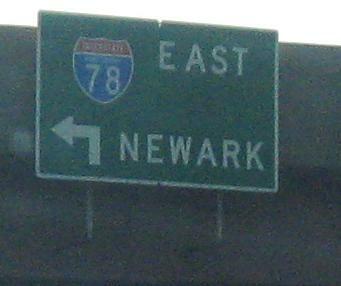 At some point soon, I-78 Exit 43 is supposed to be completed, at which point both directions will be straight ahead. I don't know if that's why the WB assembly is so much newer than the EB one, though. 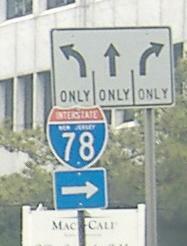 One actual chance to enter I-78, at least eastbound. The SB direction also gets a westbound ramp, but for now there are no NB left turns across the downhill traffic. The only SB photo on the page. 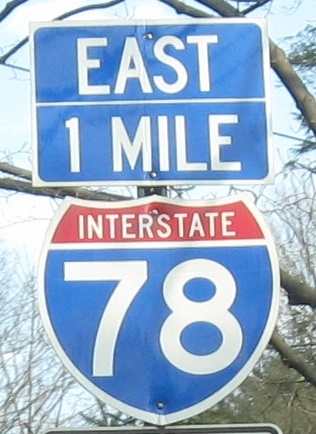 Could you really have missed I-78 EB? 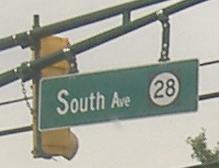 No, so signing this along McMane Ave. (CR 640) doesn't make sense. 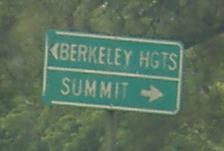 It gets you one state-name shield and one combo distance sign and loses you time and distance. 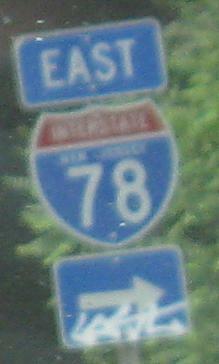 Now at Union CR 622, Mountain Ave., and yet another chance to find I-78. 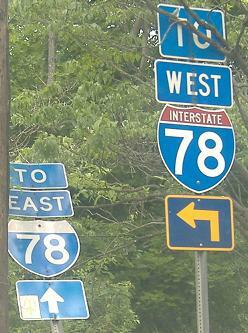 78 should really be via a U-turn to McMane Ave.